Institute GUILD™ Members Jim Walberg and Patrick Ryan are inspiring us all with their passion and generosity. Both are participating in the annual Cycle for Survival fundraiser, raising funds for the Memorial Sloan Kettering Cancer Research Center. In 2017, more than $34 million dollars were raised to help MSK find cures for many forms of cancer that continue to impact thousands of lives each day. In total, Cycle for Survival has raised more than $148 million dollars, with 100% of the funds going directly to cancer research. 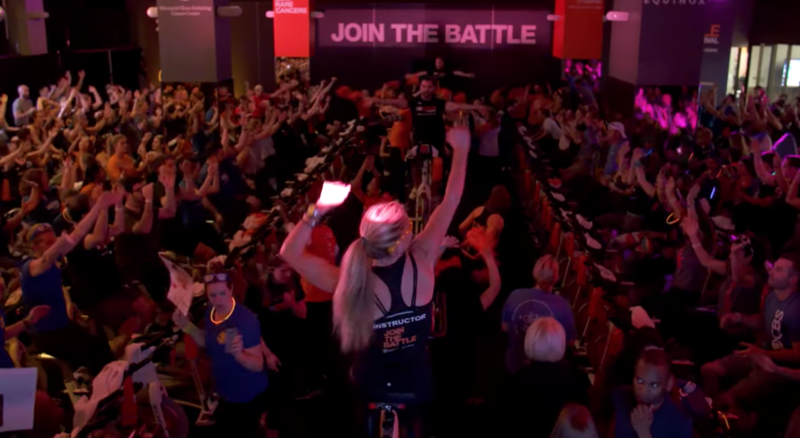 Cycle for Survival began eleven years ago in a small spin class at an Equinox Health Club in New York City. The class began fundraising to assist one of their regular riders with her medical bills for cancer treatment. After successfully raising $10,000 the first year, Equinox began fundraising at all of the NYC locations before going national at more than 22 locations across the country. Patrick and Jim participate in Cycle for Survival order to engage with their communities, raising awareness and funds for a noble cause. Patrick’s office, Related Realty Chicago, is owned by the same parent company as Equinox Health Clubs, host of Cycle for Survival. Using his business and community connections, he is able to engage with his clients on a personal level to help raise funds for his upcoming fourth ride. As a self-proclaimed cancer thriver, Jim will never stop in his efforts to help to find a cure and uses Cycle for Survival as a venue to fulfill that promise. This will be Jim’s fifth ride after having raised more than $300,000 in previous rides! Do you have a story to share with Institute Members?